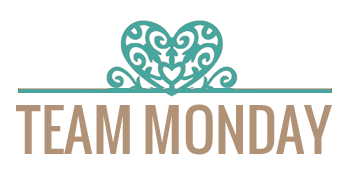 Thank you for joining us today for the Scrap-Mart Holiday Blog Hop! Scrap-Mart has teamed up with these fabulous manufacturers to bring you a week long blog hop (Dec. 5th-Dec. 10th) dedicated to Christmas-themed projects! Each of these generous manufacturers will have prizes for you along the way so be sure visit and complete the hop each day from Dec. 5th through Dec. 10th to be eligible to win. If you are just joining in, be sure to head over to the Scrap-Mart blog to start the hop from the beginning. Weren't these cards AWESOME!! Now, don't forget, this hop is all week long! Your next stop after us is Sizzix! Cute cards. and I really like the fact you are giving us the copics inventory for each image. Thank you. Very cute. Love how they all look so different. The postal shape card is very clever. Like the use of the embossing with ink on top. The new releases are fabulous, as always! Great cards, ladies! 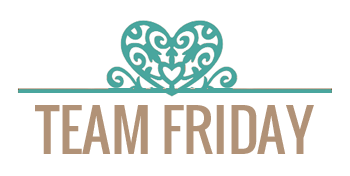 Thanks for joining us for the blog hop! These samples are all so cute! Love that Marci image. I am loving the new releases! Your designers do such great work with each of them! I love the stamps you have used! I am going to have to go shopping now.... Thanks! Beautiful cards...love the wintry feel to them!!! Wow, those cards certainly are amazing. Fantastic cards and stamps, each one is so pretty. Beautiful cards. LOVE using your stamps and digis! Very cute cards! WTG DT! These are such awesome samples from the DT! TFS. I just adore your stamps! Thanks for sharing your awesome products. Beautiful eye-candy ladies! Very creative & inspirational! These are just adorable! I love them all and the ideas that I will definitely be using! What adorable cards from a beautiful photo for inspiration. Thanks for sharing!! Wow! All I can say is wow! Beautiful inspiration and beautiful cards! The cards are wonderful!! Winter Marci is so precious !!! Beautiful work!!! I haven't used this tech much, getting inspiration from a photo. I think I need to begin doing that more. These cards are all beautiful! I love Marci. Love all the Winter Marci cards. They are so cute and wintery. Love the winter scene and the cards. Especially the one that says I am here if you need me! Super Holiday cards! I am now a follower of your blog! those girls are adorable! i love how you used them! I really enjoy coloring or painting. I think it is therapeutic. I would use the $10 gift to purchase some pencils or markers for my coloring. wonderful images, and delightful cards to view. 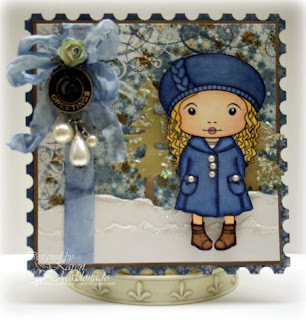 Love the DT cards and your stamps...especially that snowboarding Marci...adorable! Beautiful cards. I can't wait to see more. I'm a new follower. Love the detail, thanks for sharing some great ideas. I'm a new follower, very nice card. LOVE your new release--the suitcase set really caught my eye. What a fabulous inspiration photo--breathtaking. Love the creations inspired by it! How adorable! She looks so different depending on how she is colored, and the other aspects of the card. I LOVE these stamps (I'm new to your stamps). Gorgeous cards today! I love the winter scenes... makes me wish for snow already! Thanks for a fun hop! First time to la-la Land Crafts. What adorable stamp images. Definitely have to return and do some shopping. TFS these wonderful projects. Great hop. What amazing cards! Thanks for taking part in this hop - I WILL be back! Cute cards and gorgeous inspiration photo! Great cards. Thank you for a chance to win. Oh my goodness, one card is cuter than the next!!! Love all the images! Beautiful cards! Winter Marci is one of my favorite stamps! Beautiful coloring by your Design Team! Love all of these cards! Really cute stamps! Very cool cute cards! I esp. love the soft blues & white on the first and that white on the embossed blue of the snowboarder card. Very cool effect. Those are adorable little girls. Love the cards also. Thanks for sharing. Definitely following you-this cards are all amazing.I can tell I can learn a lot visiting your blog! Love your images, and the cards are wonderful. Thanks so much. Your images are so colorful and vivid. I love them. Thanks for sharing. So stinkin' cute. 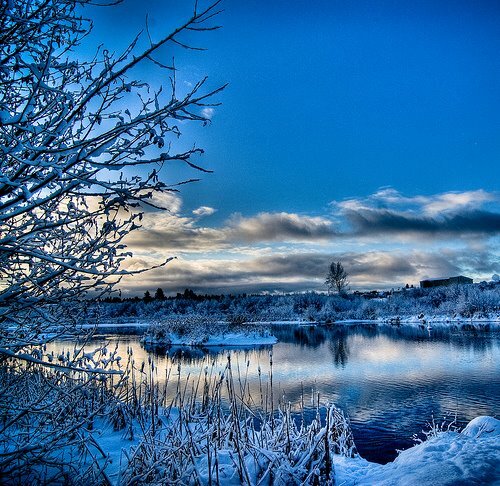 I am really loving the blue Christmas colors this year. you all color just beautifully!! stunning cards! Just love the colors!! Super cute cards! These cards do a fabulous job of showcasing these adorable stamps! These cards are so beautiful...they are works of art! These are darling!!! I've never seen these before! Gorgeous cards - thank you all for the inspiration! Stunning work everyone. Such cute stamps. Oh the cards are beautiful! I love blue and the images are adorable! Gorgeous cards! They are all so pretty! The stamp image is just too cute! Great cards love all the lovely colors. Such a great use of copics. I'm joining in for the blog hop and cant believe I've never come across this blog yet! Everyting is so pretty. The colors really make the stamps even more beautiful.